Liverpool have been linked with making a move for Fiorentina winger Federico Chiesa in the upcoming summer transfer window, as per reports in Italy. The 21-year-old has been in fine form in the current campaign, scoring 11 goals and setting up 8 more in 30 appearances in all competitions for Fiorentina. Besides Liverpool, Inter Milan and Napoli are also interested in Chiesa, whom Fiorentina value at around £60-£69 million. The Reds want to strengthen their attacking line-up next season and have identified the Italy international as a possible summer recruit. Former Tottenham Hotspur boss Tim Sherwood is of the opinion that Liverpool’s 3-1 win over Bayern Munich in the Champions League last night will boost the Reds’ confidence of winning their maiden Premier League title. The Merseyside giants, who are currently just a place and a point behind leaders Manchester City in the Premier League, beat the German champions at the Allianz Arena to book their place in the quarter-finals of the Champions League. With Liverpool in a great position to win their first Premier League title, many believed the Reds would prioritise it. 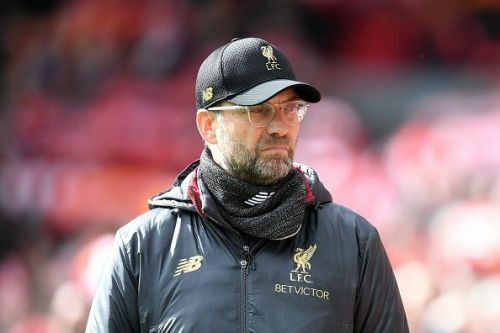 However, Jurgen Klopp fielded a strong team in Germany as Sadio Mane’s brace and a goal from Virgil van Dijk helped Liverpool to see off Bayern Munich. And Sherwood believes Liverpool’s win in Germany will enhance their title charge. "You're meant to want to win every football match you take part in”, he told the Sky Sports. "If you tell your players we're not going to try because we're putting all our eggs in the Premier League basket, well it's difficult enough to win any tournament especially when Man City are around in both. "We've got a little bit of a break now, with internationals, and I think it's a massive shot in the arm for the club. They will think they can go away and win anywhere now." Liverpool midfielder Georginio Wijnaldum has revealed that he doesn’t mind meeting another English team in the quarter-finals of the Champions League. The Reds beat Bayern Munich 3-1 in Germany to become the fourth Premier League outfit to progress to the quarter-finals of the Champions League this season, thereby joining Manchester City, Manchester United and Tottenham Hotspur. Besides the English quartet, Barcelona, Juventus, Ajax and Porto are the other teams remaining in the continental competition this term. The draw for the Champions League quarter-finals and the semi-finals will be held on 15th March at 12 noon CET (4.30 P.M IST) in Nyon, Switzerland, and clubs from the same country are eligible to play against each other. Liverpool faced Manchester City in the quarter-finals last season, with the Reds comprehensively winning 5-1 on aggregate.